Looking for an affordable beach property? Come to the Costa Blanca! News: Looking for an affordable beach property? Come to the Costa Blanca! With the summer around the corner and the real estate market in full recovery, now is the time to consider buying the beach house of your dreams on the Costa Blanca. While the average property price for a new home in the Costa Blanca is around 196,000€ according to a recent report by Tinsa, a Spanish company working in real estate valuation, we at E-Style can offer new build property in the best areas of the Alicante coast from 109,900€. The Costa Blanca has the second largest housing offer in Spain, with 2,110 new housing units currently on the market. The average area of the houses on sale is situated at 112 square meters, with one or two bedrooms being the most common option. As far as the building progress of the properties is concerned, the majority of the houses offered are already finished. Specifically, that is the case of more than 60% of the total stock of the Spanish coast analyzed. More than 25% are in the construction phase, compared to about 10% that has not started yet. Also, the study shows that the vast majority of the properties come with swimming pool and gardens. 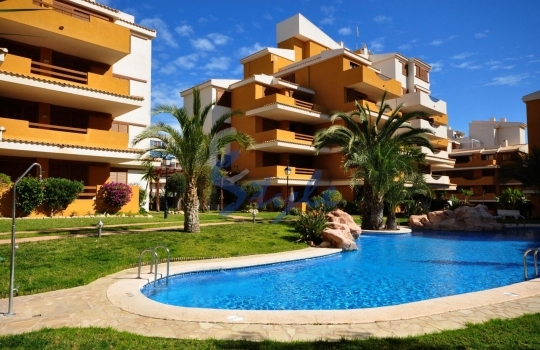 See new property for sale near the Costa Blanca beaches here.